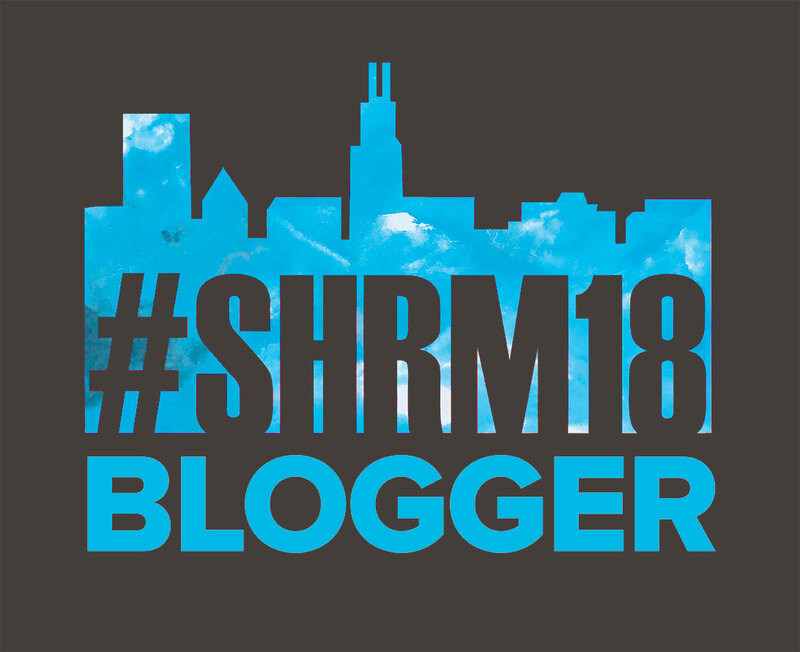 The one presentation at SHRM18 I knew I needed to attend was Mary Faulkner‘s presentation on HR as a Strategic Business Partner. I took the advantage of a trip to Denver to have lunch with Mary and we started talking about her presentation (though I had forgotten to put my questions together, so wrote a slightly different introduction than many bloggers did). I’ve also struggled as an HR professional for that “seat at the table” (drink) to be seen as an “influencer” (drink). So it was some what nice, um comforting, um not sure what is the exact best word, but it made me feel like I was in the right place when I heard Mary say that we are already doing all of the right things to be the Strategic Partner your business needs. We just need to be better at selling ourselves and that’s really where Mary focused her presentation. Mary told us to: 1. Accept our value; 2. Prove our worth; 3. Build relationships; 4. SHOW UP; 5. Know the business; 6. Stay current. We really need to stop thinking about ourselves as “Just HR.” We know HR, we do it well. But we need to step up to doing more than “just” what we’ve been instructed to do. We need to be able to give our opinion and help those decision makers understand the good and the bad from those decisions. Do we understand their Why? Do they understand ours? If not, we need to find another, better way to communicate with them. And it’s not just about how we are seen by those #AtTheTable (drink), but how we are viewed by our employees: you know the people we REALLY work for. Do we see the world, the company in the same way they do? Is our perception the same as their reality? And how often do we forget that WE are also employees (how often do those #AtTheTable (drink) also forget that THEY too are “just” employees)? We need to help our employees understand how what’s going on affects them and how it benefits them. Too often employees only see the negative because we only give them the facts and don’t help them see the overall big picture. And do WE see the big picture or are we only focused on the details? Are we only focused on being “fair” or policy driven that we forget there is a human on the other side of the question or request? [which lead to an interesting side Twitter conversation on whether or not we should treat our employees like customers — words matter. Thinking there will be some sort of panel conversation on this with Anne, Kristina and maybe Tamara]. We need to show up to learn the business. We need to show our employees that we exist for more than being the “no police.” I’m trying to do this more. So it means more night time meetings to just “Be there” for the night shift staff. This means sitting in on meetings that might not directly benefit *me* but being present (and not surfing the web while others are talking) and listening to what’s happening in the department. By showing up, by being more than a name, by being an actual person, staff will trust me and know that I’m part of the bigger picture. Because while I may not work IN our work, I am here to help the entire department be able to do their work. I really liked how Mary addressed the idea of HR being the #NoPolice. We need to stop just saying no. We should take a page out of the improv world and start saying “Yes And.” Rather than saying “no you can’t do that” what would it look like if we say “Yes, and here’s how you can do it to the benefit of the entire department/company/employee base.” Let’s stop just shouting no at everything and start taking a moment to think about the request/question. Sometimes the answer is No, but we need to look at how we are saying that No and help our employees turn it into a Yes And. We know the rules, we know the boundaries of the box: it’s our job to play within those lines (really, it’s okay to color inside the lines, but maybe you don’t use green for the grass or yellow for the sun — figure out what colors you need to use). As we combine our knowledge of HR and the policies/procedures/requirements with our knowledge of the business, we can start to speak the language of our leadership and employees and can be better able to help them understand what we do and how it benefits them. This is how we command a seat at the table (drink). This is how we “prove our worth” (drink). Check out some of the tweets from her session on Wakelet.com & at the bottom you’ll see the side conversation that came from it!